This has been a very different winter for me here in Mexico. When I left Culiacan back in November, I was determined to explore parts of Mexico that I had never seen before. When I lived in Guadalajara, I traveled to various pueblos on the weekends. I visited friends in Mexico City. I lived in Irapuato for a few months and checked out Guanajuato. But there was still lots of new territory left to explore in central Mexico. Many of my friends back in Washington were skeptical about my plans. You’re going to travel alone? You’re going to take overnight buses? You’re going to a place where you know no-one? You’re not sure where you will wind up or for how long? But that’s exactly what I have been doing for the past few months and I have enjoyed every minute of it. When I first arrived in San Ciro de Acosta, I marveled at the quaintness and the simplicity of life there. The town didn’t even have a bank. You couldn’t use a credit card here if your life depended on it. It was like stepping back several decades in time. And I thought that a couple of weeks here would suffice. But I was mistaken. I spent two of the most relaxing months of my life in San Ciro. I had time to work on my book without interruption. More importantly, for the first time in a decade, I had time for ME. I had time to contemplate life, time to process all the changes, time to reflect on my experiences and time to think about what lies ahead. When I felt ready to leave, my destination was the city of Aguascalientes. Former students had raved about the beauty of this city and I was eager to see it for myself. And I have not been disappointed. The museums, churches and parks are amazing. It is such a clean city and is right up there with the Yucatan in terms of safety. Initially I planned on a one month stay. But as the one month mark drew near, I knew that a second month was definitely in the wings. And when the second month drew near, I knew that a third month was indicated. And as the third month is drawing near, I am seriously considering returning here next winter for several months. Years ago my therapist remarked to me that I was fortunate that I made friends easily and adapted well to new situations. Sometimes this blessing is also a curse. While the transient lifestyle has its appeal, it also has its downside.The older I get, the harder it is to say good-bye to people I meet on my journey. However the friendships I have made are priceless and the growth I have experienced has been incredible. I’ve traveled a fair amount in my years in Mexico. The culture and food vary greatly from area to area, as does the geography and climate. People often ask me about my favorite places and foods, so I’ve decided to write a post about some of my favorites. Tlaquepaque is still in the lead. It is a quaint typically Mexican area only 20 minutes away from central Guadalajara. The Jardin Hidalgo, Calle independencia and Calle Juarez were my favorite haunts. Dia De Los Muertos is amazing. The best churros, rotisserie chicken and pizza are found here. The shops are quaint and ATMs are plentiful. But best of all, the locals are all friendly and there is always music in the air night and day. Uber and public transit are accessible, making commutes to Parque Mirador, Tonala, Zapopan, museums, art galleries and parks easy. Lots of day trips to smaller pueblos in Jalisco are most enjoyable. I’m about to begin my third month here in Aguascalientes. I live in Las Flores, a neighborhood adjacent to the Centro Historico. People are friendly and I have found a wonderful church two blocks from where I’m staying. The best gorditas are two streets over. My favorite coffee shop, Buenos Aires Cafe, is close by. The woman who runs it is from Argentina and the food she prepares is outstanding. The best omelets are at Loncheria Fer, run by my friend Fernando. Day trips to Leon, Zacatecas and the three magic towns are great. There are museums, art galleries and churches to explore. I spent two months this winter in San Ciro de Acosta in San Luis Potosi. This small town didn’t even have a bank. People are friendly and collectivos are available to Rio Verde, a larger town that even has two museums. Christmas celebrations in the plaza were most enjoyable. Day trips to other areas in the state as well as in Queretaro are best done by car, as buses and collectivos don’t go to many of them. I found the food very greasy as everything is fried. Finding fresh vegetables was difficult as beans, rice and tortillas were the norm to accompany the main course. I did find one place that made Chinese food, but it too was quite greasy and used frozen vegetables in their dishes. Culiacan is probably the most dangerous city I’ve lived in here in Mexico. It’s also home to the best tamales and incredible bakeries. I go back there often as my Mexican family live there. The first school I taught at in Mexico is also here, and occasionally I go back to visit. Culiacan has some lovely parks and the main cathedral is beautiful. I also explored art galleries and museums when I lived there. I first went to Mazatlan in 2010 and dreamed of retiring there at some point. I moved there in 2015 when I was still teaching. But after three years, it was time to move on. The quaintness is gone and the city has become far too touristy for me. But Mazatlan has the best beaches and the most beautiful sunsets, and I’ve been to quite a few beach towns along the west coast. When I lived in Guadalajara I even preferred Mazatlan to Puerto Vallarta. Carnaval is the third largest in the world. Fabulous concerts are found at the Angela Peralta Theater. Motorcycle Week and Semana Santa I can easily do without. I think my favorite park is Chapultepec in Mexico City. It boasts a castle, a zoo, botanical gardens, boats and more. The city itself is much too large for my liking, but it does have so much to offer in terms of art galleries and museums. The pyramids in Teotihuacan are awesome and are a must for visitors. My least favorite place in this city is definitely the airport which desperately needs more than a face lift. I was very disappointed in Rosarito in the Baja. A few years ago I had planned on spending the winter there. After one week of a very dirty beach and warnings of not to go out after dark because of the high crime rate, I headed back to Tijuana, another not so great place, and then found my way back to Guadalajara. I also lived in Irapuato, Guanajuato for a few months. This is another area I wasn’t too fond of. Day trips to Leon and Guanajuato City were good escapes. There really wasn’t much to do in this town. Even the Centro are was disappointing. Let’s end this post on a positive note. 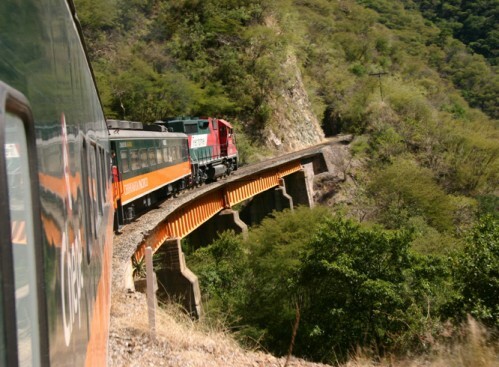 A ride on El Chepe in the Copper Canyon is the train ride of a lifetime. The spectacular views made this quite the experience. I opted for a five day tour with overnight stays in four towns along the way. I actually hope to do this again someday. Mexico is one huge country and there is so much more I want to explore. My plan is to explore the Yucantan next winter. I also still want to go to Oaxaca, Chiapas, Morelia………the list is endless! The older we get the faster the time flies by. 2019 is fast approaching and promises to be another exciting fun-filled year with more amazing adventures. As I reflect on 2018, I see a strengthening of several relationships as well as a fair amount of travel. I rang in the New Year in Culiacan with my family. I returned to Mazatlan in January and soon got caught up in art walks, concerts, movies and luncheons. February is synonymous with Carnaval where parades and music abound. I also managed a quick weekend trip to Culiacan as there was an event at my grandson’s school. I took a day trip to with the Solo Snowbirds to El Qelite, a pueblos magico. But the true highlight of the month was the birth of my granddaughter, Madeline Annette, in Canada. March was dominated with music and ballet performances. My friends Elly and Dwayne from Leavenworth were visiting Mazatlan and we had a delightful Sunday brunch together along with an afternoon by the pool at their hotel. On April 1st, Easter dinner was at Al Chile with my friends Peggy, Delmar and Barry. Motorcycle Week roared in and I had a whirlwind trip to Culiacan to see my family before heading to Ontario. It was exciting to finally meet Maddie and my week with her flew by all too quickly. Then I was off to Toronto to spend time with Deborah, one of my best friends who also used to live in Winnipeg. On April 30th I was up in the air again on my way to Leavenworth via Seattle. May was a busy month with activities at the Senior Center, SAIL classes, Church, book club and of course renewing the friendships I had made during the previous two summers I’d been in Leavenworth. The music and dancing at Maifest was most enjoyable. Laurel and I bravely hiked the difficult trails at Ohme Gardens as we had misread the signs. Knee replacements work! Things got even busier in June as Linda and I prepared our classroom for VBS (Vacation Bible School.) Perfecting the crafts provided a bit of a challenge. Decorating the room was really a blast as well. The Accordion Festival in Leavenworth and Founders Day in Cashmere were held on the same weekend, and that made it rather hectic. I also started a course in memoir writing at the end of the month. July 4th is synonymous with Kinderfest in Leavenworth. More preparing for VBS and then an amazing week with the kids at VBS, truly the highlight of my stay in Leavenworth. I also attended two performances of Leavenworth Summer Theater……Sound of Music and My Fair Lady. Christmas in July was held at Upper Valley Museum as well. In August Ann and I did a whirlwind trip through the San Juan Islands and Whidbey Island. I attended another production of Leavenworth Summer Theater…Little Women. Next came Midsummer Night’s Dream in Wenatchee, Bell Ringers, and the Village Voices Picnic at Lions Park that was moved indoors due to the smoke. September began with the County Fair in Cashmere where friends introduced me to funnel cake. I also went to Elder Speak at Snowy Owl. Ann and I took a day trip to Ellensburg and Cle Ulm. Wednesday night children’s ministry at LCN started again. I went to a children’s ministry workshop in Auburn and went to a meeting of the Autoimmune Society in Wenatchee. But the highlight of this month was the 9/11 ceremony held in Cashmere at Spirit of America. October was a bittersweet month. The leaves were in their glory but it was time for me to prepare to leave. Fond farewells filled the month and I was soon up in the air again headed for Guadalajara via L.A. I had a wonderful time revisiting San Pedro, an area I lived in for almost four years. It was nice to see old friends again, and to sit in the Jardin Hidalgo and stroll down Calle Independencia. Naturally I had to trek out to my favorite place via the Macrobus…..Parque Mirador. November was an interesting month. Day of the Dead in Tlaquepaque was spectacular. I enjoyed viewing the altars along Juarez as well as visiting the cemetery. Then I was off to Culiacan to spend a week with my family. My grandsons have all grown so much since I last saw them in April. Next I found myself on a bus headed for San Luis Potosi. I met Bonnie on a Facebook group and decided to check out San Ciro de Acosta. This pueblo is everything she said it would be and more. I had intended to stay for one month, but I am now into my second month. As well as exploring the town itself, I went out to Aquismon with Bonnie and her family for Thanksgiving. In December I went out to Jalpan, Queratero for the day. This is another of the magical towns here in Mexico and it did not disappoint. I also discovered two museums in Rio Verde. I went with Bonnie up to the chapel of the Virgin of Guadalupe. There was a Christmas Posada at the Club de Leones and then on December 20th in the evening was the Migrant Parade. Mexicans returning home from working up north came ina caravan from Laredo. They tossed candies to the children and the locals brough tamales and atole to them in their vehicles. There was a huge Christmas posada in the plaza for the children that went on for hours. It began with the traditional procession through the town with Joseph and Mary seeking shelter and culminated with music, games and dancing for all the children. The fare for Christmas Eve was tostadas and ponche along with Christmas movies on Netflix. Connie and I also baked some cookies for the kids. Adios 2018! It’s been another great year. I wish all my readers a fantastic 2019 filled with love, peace and good health. I’ve been living in the quaint little town of San Ciro for just over a month now. There is no bank or mall or movie theater here. There isn’t even a restaurant although there are numerous taquerias and loncherias. There isn’t even a bar here. So just what is the big attraction here for me? I’ve gotten used to living in smaller towns. I’ve spent a fair amount of time in Leavenworth in the past three years. And I prefer the small town life. It was nice to spend the first month back in Mexico this winter in Guadalajara, Mazatlán and Culiacan. But it’s much more tranquil here in San Ciro. I saunter down to the gordita stand in front of the hotel in the morning and sit down at one of the two tables with the locals. People are friendly and of course are curious about this gringa who really stands out in the crowd. It’s also a great opportunity for me to practice my Spanish. I’ll add that nothing beats a fresh handmade gordita along with a cup of café olla. My days are mine. There is no agenda. If I’m in the mood, I write. There are no distractions here like in the bigger cities. I’m currently working on a book of fiction as well as a collection of memoirs for my granddaughter. Blog posts have become more of a challenge as I don’t have WiFi in my room at the hotel. I tend to write the posts and then add pics and upload to WordPress when I go down to the office and sit close to the modem. I go into Rio Verde once a week or so. There are banks there. I discovered two museums there as well as a gorgeous cathedral. I stand at the side of the highway and flag down a collective to make the trip. I find it interesting that many of the other passengers seem to get off in the middle of nowhere along the way. But there are a number of tiny towns tucked away, often a few kilometers off the highway. Because I have no kitchen facilities in my room, I eat out a lot. What I really enjoy is having food delivered for a mere 25-50 pesos. I have a favorite taqueria that has awesome tortas, gringas and papas locas. There is a place that makes pizza and delicious baguettes. Roasted chicken and hamburgers are also favorites. On my walk last week I found a man who makes Chinese food. All these places deliver with a 5 peso tip to the driver of the bicycle or motorcycle. Last Sunday I went to the mass at the Catholic Church and to my delight there was a wedding going on. I strolled through the tienguis afterwards, engaging in conversations with various vendors. On Monday I attended a children’s posada at a friend’s taqueria. Thursday night was quite the interesting celebration featuring the Migrant Parade. Over a hundred vehicles began their trek south from the border at Laredo. These are all Mexicans who work up in the USA and then head back down to Mexico for the Christmas holidays. They throw candy out their windows to the children. The people in the town bring them atole and tamales in return. A band was set up and the mood was quite festive. On Friday I went into Rio Verde and checked out the tienguis outside the church. There were lots of Christmas items in these stalls and it reminded me of the ones in Centro in Guadalajara. I couldn’t resist the heavenly fresh churros either. Saturday the plaza in San Ciro was packed with people for a traditional Christmas posada. A crowd of people followed Joseph along with Mary riding a donkey singing the traditional song, stopping along the way to seek shelter, and finally ending at the church. The children batted away at piñatas and then scrambled to collect candies. There were games and prizes for the children. A guesstimate of 1200 children were in attendance. Lots of dancing and music. I left before the food as I’d had my limit of noisy crowds of people and loud music. But it was really an amazing event for such a small town. I can’t say I’m bored here. As a matter of fact, I’ve now decided that when I move on next month I want to seek out another small town rather than a larger city as I had first anticipated. Small town life appeals to me here. I am experiencing the “real” Mexico and I highly recommend it. I’m glad I made the decision to stay here for Christmas. Thank you to all my followers for your continued support of my blog. 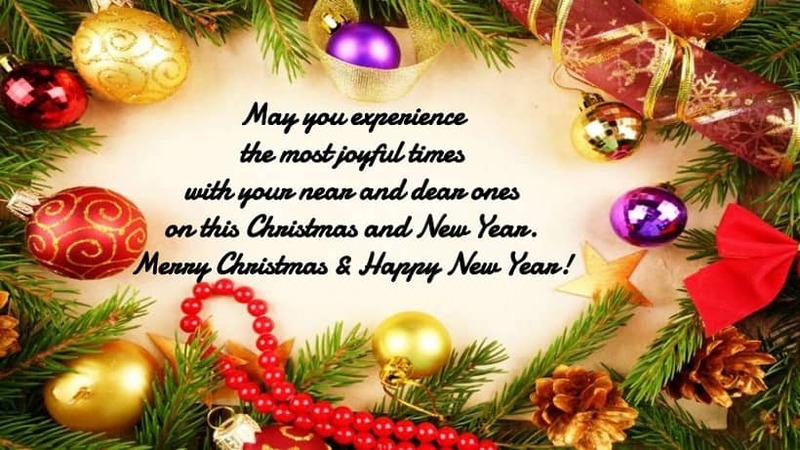 Merry Christmas to all and all the best for an amazing 2019! I admit it. It’s a weird and morbid thing to do. Most people stick to famous landmarks, museums and music. But yours truly also likes to wander through cemeteries, especially old ones. And there are some amazing ones here in Mexico. Typically I seek out a cemetery on Day of the Dead when I’m in Mexico. This year I went to the Tlaquepaque cemetery. I’ve been in San Ciro de Acosta for almost a month. On my walk one day I came across a cemetery in this town. While it was quite a bit smaller than the one in Tlaquepaque, nonetheless it was interesting. I’ve seen a number of smaller cemeteries along the road on the drive in to Rio Verde. I hope to some day have the opportunity to explore these in the future. When I lived in Canada, I had a dog named Koal. He was an adorable toy poodle who as a puppy was black but his fur changed to silver when he grew older. He was spoiled by myself and my children. They complained that Koal didn’t know he was a dog. Of course they are the same ones who also referred to him as their baby brother. And we were all guilty of buying him way too many toys and treats. He had a wardrobe of t-shirts and sweaters. He was a finicky eater and we used to drive down to the USA regularly to buy him the vegetarian dog food he preferred. Koal was a very special part of our lives and we were all devastated when he passed away on December 7th, 2008. It’s been ten years and I really miss having a dog. But the way I constantly travel in three countries regularly is not really conducive to having a pet. Here in Mexico dogs do not have this type of pampered lifestyle. Dogs more commonly are found roaming the streets or barking loudly from rooftops, although there are some households where the dogs actually live inside. Cats are quite a problem as they wildly reproduce in this country. Spay and neuter clinics have evolved in some areas to deal with this. Animal shelters are slowly springing up in some places and the fostering of dogs and cats is becoming more common. Here in San Luis Potosi, I have taken some photos of other animals people keep in their yards. This noisy pig lives in Aquismon. This animal is a neighbor who lives down the street from the hotel where I’m staying. I was wandering through the streets in Rio Verde when I saw these. And right here in San Ciro I snagged this photo. Isn’t this just the cutest photo to end this post with? I arrived in San Ciro de Acosta on Tuesday morning. The skies were cloudy, the temperature cool, and I wondered why I had left sunny Sinaloa. Bonnie and her husband picked me up at the bus station in Rio Verde, and then it was a 45 minute drive to San Ciro. Considering I had been on a bus for 15 hours, I was surprised that I still had energy. It must have been that adrenaline rush as I had finally arrived at my destination. I also had no problem sleeping on the bus. Finding somewhere to stay with both WiFi and furnished was a challenge. Bonnie had graciously offered me a space in their home, but they were already crowded and I do like my privacy. So I am now staying at the San Ciro Hotel. 1800 pesos per month includes daily maid service. Quite the main entrance, isn’t it? The owner of the hotel and junkyard lives on site. And you have to walk through the junkyard to get to the stairs that lead to the hotel rooms. But I have a lovely room tucked away in a corner with views of the mountains on both sides. Of course there is no WiFi in my room. Too far away from the router. So I’m sitting on a bench outside the owner’s room where the signal is poor but adequate. I must admit it’s nice to be outdoors when I write. I’ve been out walking and the sidewalks here are perfect for that, unlike the treacherous sidewalks in Mazatlan. In the center there is a plaza complete with a fountain with no water, a playground and lots of benches and vendors. Across the street is the main cathedral. I have a new favorite breakfast spot. It’s a small gordita stand right outside the entrance to the hotel. A gordita filled with egg and potato and a cup of cafe olla. 16 pesos. Very friendly ladies cooking and I’ve met a few new people as well. Watch for my next post about Thanksgiving Day. It was an amazing experience very different from the traditional ones I’m accustomed to.